6/13/12 – Be Someone Who Makes You Happy! Best quote I’ve seen in awhile. Every time I get into a relationship I struggle to be responsible for my own happiness. I’m not sure why it happens, but it’s like I have amnesia and forget how to do it. I need to look at this everyday! I am the ONLY person who can make myself happy! 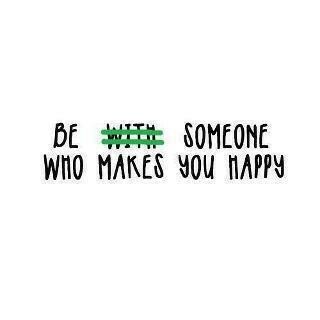 Be the “SOMEONE” that makes you happy. It is your responsibility!